Aki and I went to Huntington to visit my parents for the 4th of July. 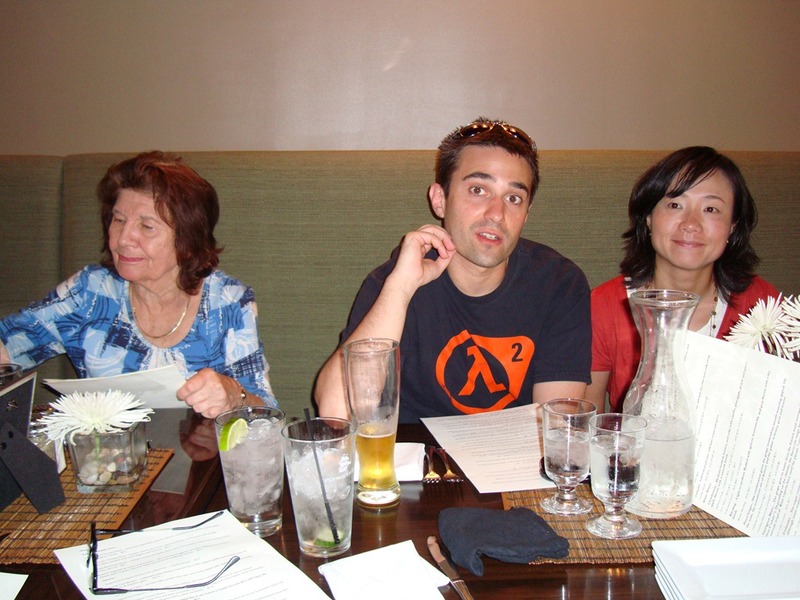 While we were there we went out to eat with my parents and my grandmother at Huntington Prime. We really enjoyed the food and found it to be on par if not better in some ways than the places we go in New York City. I had the lamb shank. It was cooked nicely and I was really impressed at the portion sizes. It was not so big that I needed to eat the same meal for 3 days in a row, but rather the meal was just enough for me to be full and I didn’t feel that the price was too high. I forgot to check out how much the beers were, but I’m sure they were cheaper than Brooklyn, so not much else to say about that. Anyway, if you are in Huntington, WV and need to get some dinner, give Huntington Prime a try, it’s a nice place and has really good food!! This entry was posted in Uncategorized on July 7, 2010 by Adam Noah.